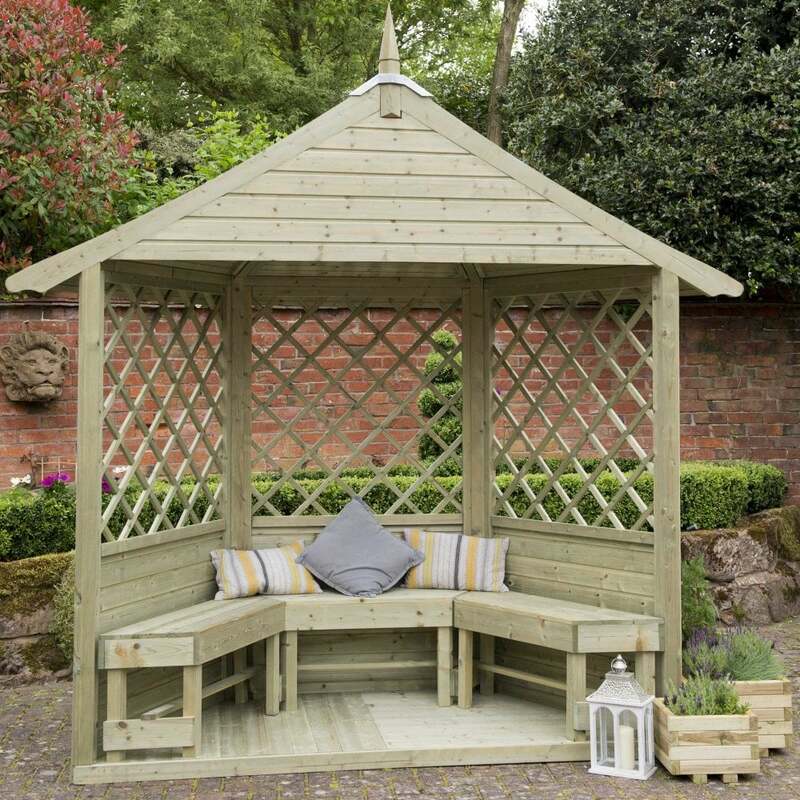 Forest Garden Half Burford Arbour Gazebo: The Forest Garden Half Burford Arbour Gazebo is a light, airy and elegant feature with decorative diamond trellis side panels and including three benches is made from pressure treated timber. This Garden Arbour provided by Simply Log Cabins is an ideal addition to your garden creating a relaxing and tranquil area to sit and enjoy your garden with friends and family, a superb garden arbour at a budget price. This Product Features a 15 Year Manufacturers Guarantee against Rot.